Philine van der Vegte is a Dutch painter who paints the world around her in oils and gouache. 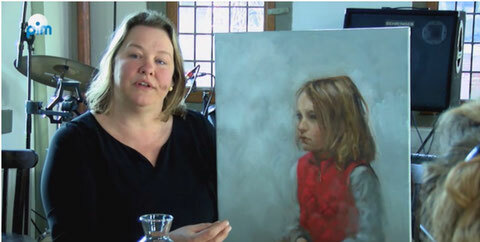 She paints from observation and en plein air. Her painting has been described as atmospheric and tonal. Philine’s work is fairly realistic, in a loose style. 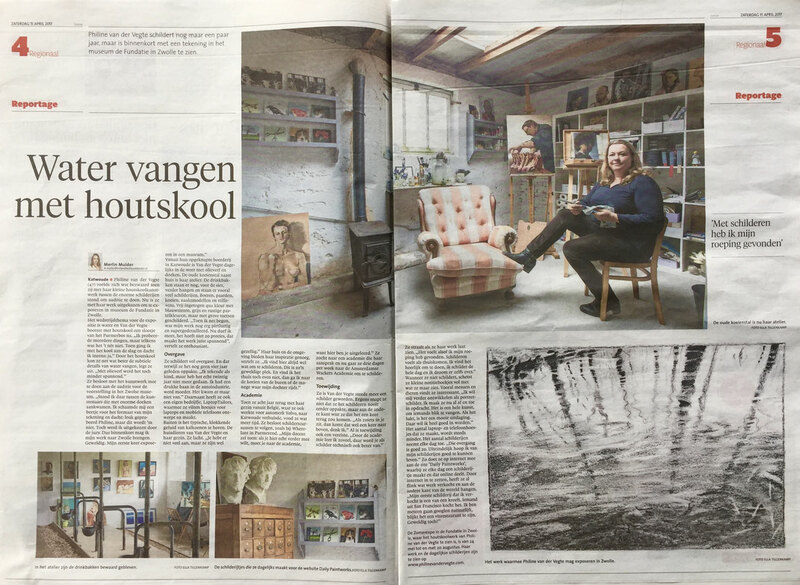 The subjects are close to home and the farm where she lives; Dutch landscapes, people around her and farm animals. 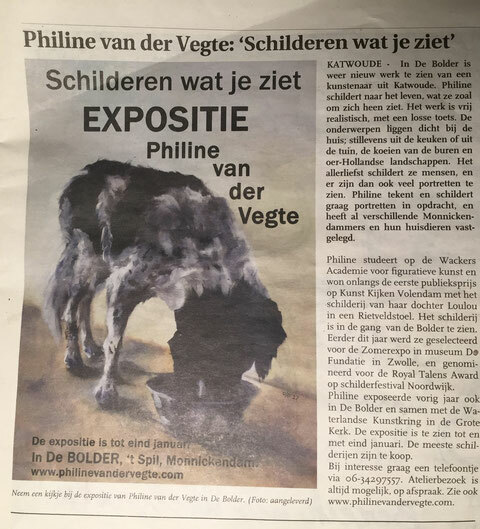 Philine is a student at Wackers Academy of figurative art in Amsterdam, and will be graduating in June 2019. 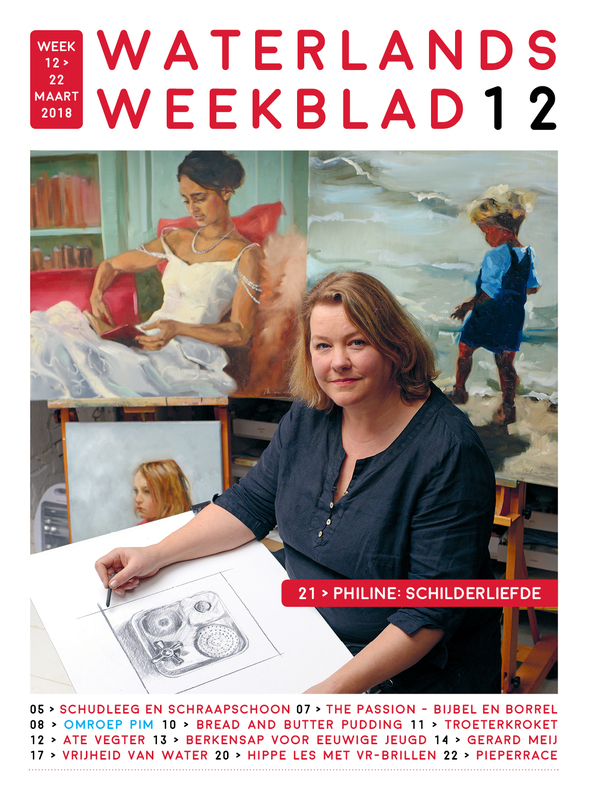 She has participated in an won awards at several international plein air painting festivals such as Noordwijk and Pintar Rapido. 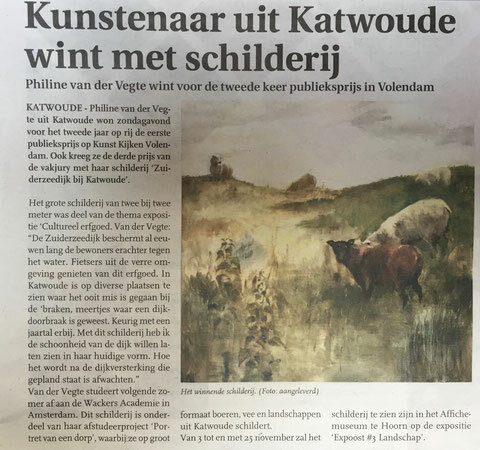 With a small charcoal drawing of trees reflected in a ditch, she won a place at the Dutch national Summer Exhibition at Museum De Fundatie. The starting point for her paintings is always in the real world. Painting from observation is important to her and she will choose to do so whenever possible. Whatever the practical drawbacks, she feels it is better to capture the essence of a person, a landscape or an object in this way. Philine aims to show a timeless beauty, without reverting to nostalgia. She paints fast and tries to keep her paintings fresh. She looks for that perfect brushstroke, that shows exactly what she wants it to say. Sometimes rough and fast, sometimes very tender. Her mission as an artist is to bring real life to life. Works held in private collections in the Netherlands, the United States, Canada, Germany, UK, Australia, Belgium, France, Israel and Italy. 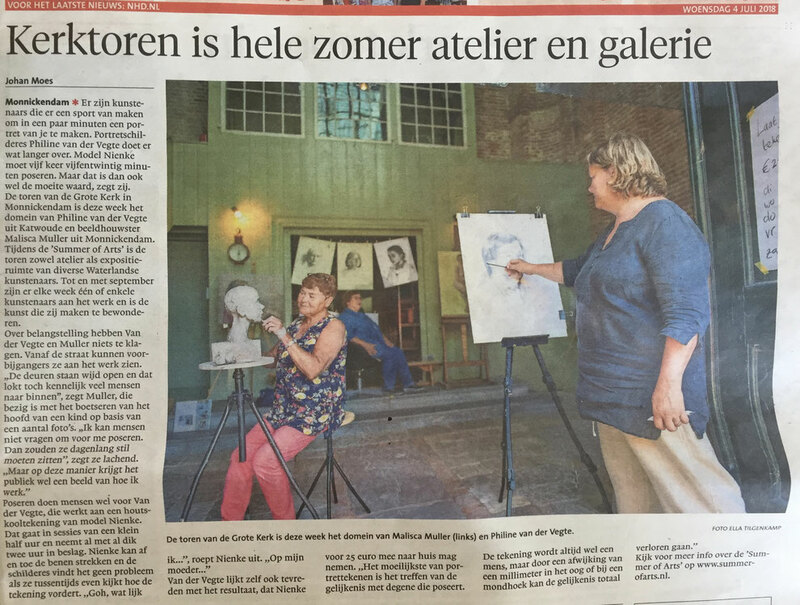 2018 "Is getekend", De Boterhal, Hoorn. 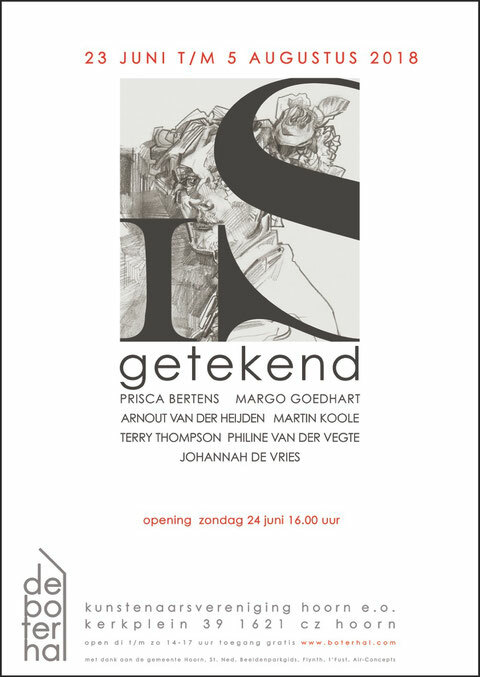 2018 Duo exhibition with ceramist Gerda Roodenburg in the church Broek in Waterland. 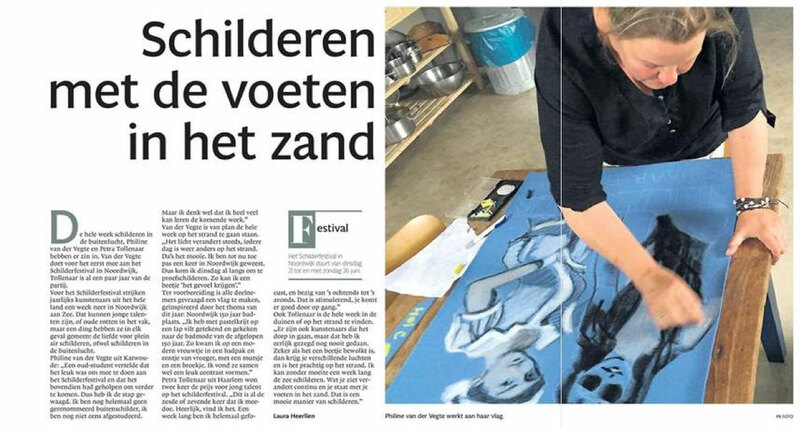 2017 “Schilderen wat je ziet”, solo portrait exhibition, cultural centre De Bolder, Monnickendam. 2016 Museumnight Antwerpen, exhibition "Unseen talent”, DIVA museum Antwerp (B). 2016 Solo exhibition "Noordwijk plein-air”, Study centre Amsterdam of the Open University. 2016 Museum Edam, group exhibition “100 jaar droge voeten”. 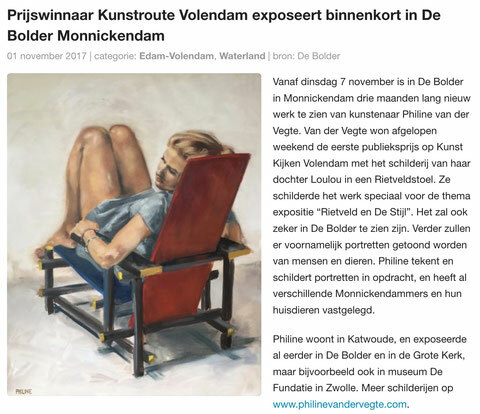 Video door Omroep Pim ter gelegenheid van de Waterlandse Kunstkring groepsexpositie in de Grote Kerk van Monnickendam. 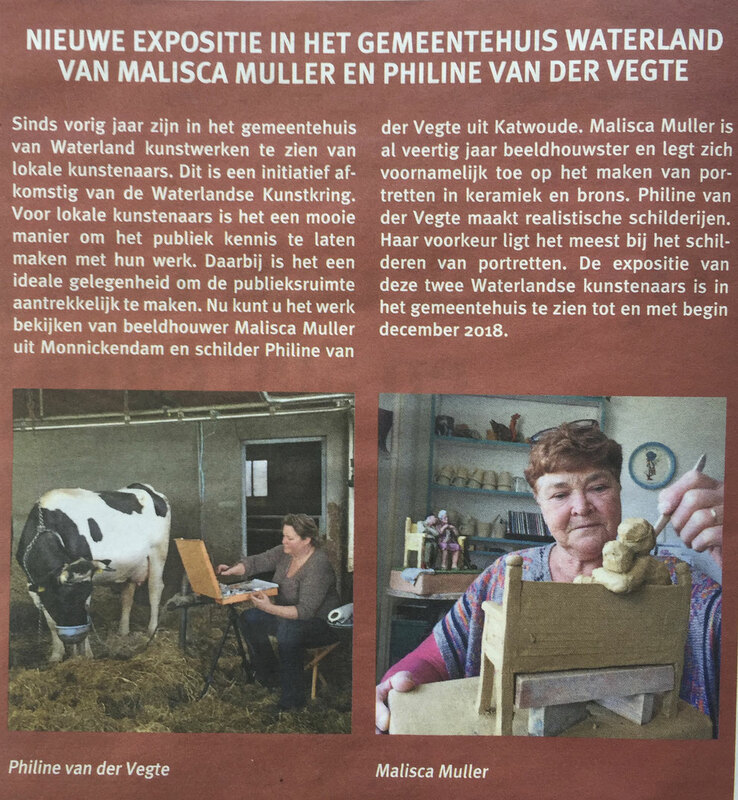 "Ons Streekblad", 19 juli 2018 "Nieuwe expositie in het gemeentehuis Waterland van Malisca Muller en Philine van der Vegte"
Noordhollands Dagblad / Dagblad Waterland, woensdag 4 juli 2018.